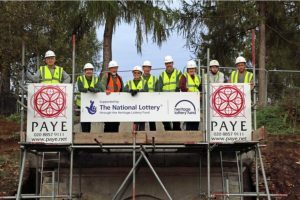 The Hope Springs project is led by Mole Valley District Council and supported by the Heritage Lottery fund in partnership with The Mausolea & Monuments Trust, Dorking Museum, Kuoni Travel, Dorking Golf Club, Surrey Wildlife Trust and, owner of Betchworth Castle, Martin Higgins. 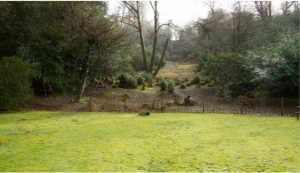 In March 2015 the Heritage Lottery Fund awarded the project £1 million to repair key architectural and landscape features and relink the fragmented parcels of land of the historic Deepdene Estate with the new Deepdene Trail. The project will run for two years and engage the local community through a number of education activities as well as deliver a dedicated website, Virtual Tour and App. 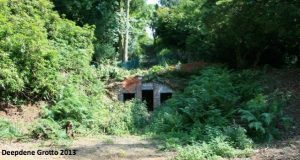 The new Deepdene Trail will open in September 2016. It will be a circular walk taking in the rise and fall of one of the Country’s most significant lost landscapes through 300 years of history. 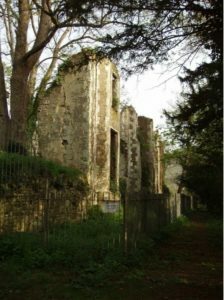 From its humble beginnings to its zenith and its ultimate demise, the trail reveals the story of Deepdene. 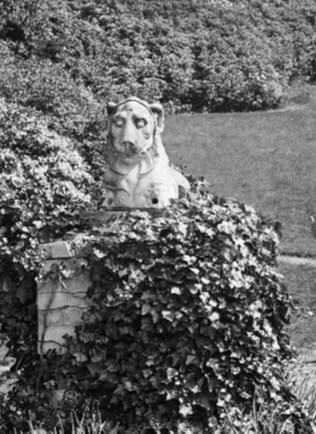 The Deepdene estate first came to prominence in the mid 17th century when it was inherited by the Hon Charles Howard in 1652. 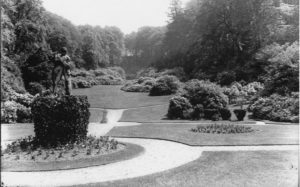 He soon set about building a new house and began creating one of the earliest true Italian gardens in the country. 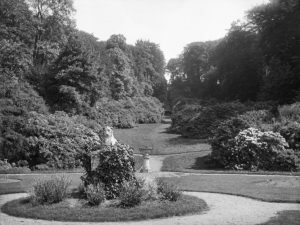 It was this quite unique setting that attracted the young and very rich Dutch arbiter of taste Thomas Hope to purchase the estate 156 years later. 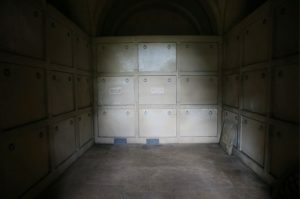 At the heart of the Deepdene Trail is the Hope family Mausoleum. Built by Hope in 1818, this structure is the last complete surviving building of the estate and final resting place of Thomas Hope himself. It offers a unique view of this great lost landscape. 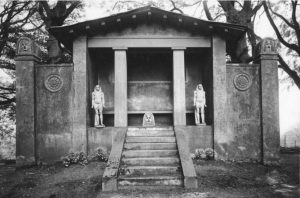 The story of Deepdene reflects the tragedy of the loss of so many great estates in the 20th century—however ‘Hope is not broken’. The trail starts at the Cotmandene in the centre of Dorking. The Cotmandene belonged to the Duke of Norfolk in the early 19th century but became common land in 1897. Along the North-East edge of the Cotmandene today still lies the wall of the old Kitchen Gardens of the Deepdene Estate. The trail heads down towards the treeline in front of the A24 and onto the site of the Deepdene. The new trail enters the Deepdene garden though an enchanting tunnel of trees. 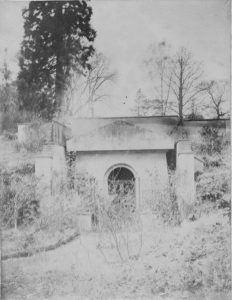 Fragments of the 19th century garden survive and elements such as the grotto have been recently gently cleared of scrub by the Friends of Deepdene volunteers using old photographs as a guide. 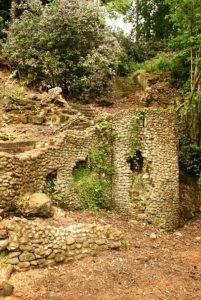 This has revealed glimpses of the Deepdene’s former glory and tantalising hints at what lies waiting to be discovered. 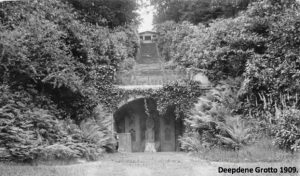 The Deepdene Terrace lies at the top of the original staircase above the Grotto. It offers dramatic views towards the South. 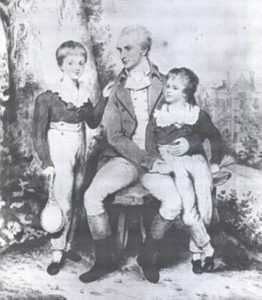 The land it overlooks was bought at the cost of £30,000 by Thomas Hope’s brother, Henry Philip Hope, and given to Thomas in 1812 to enlarge the estate. 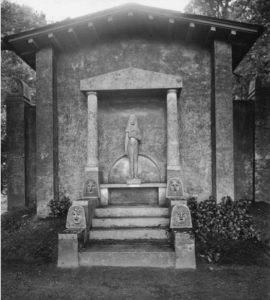 To commemorate this generous gift Thomas built a temple at the top of the steps from the garden, now sadly demolished, with the inscription Fratri Otumo – HPH (To the best of brothers). 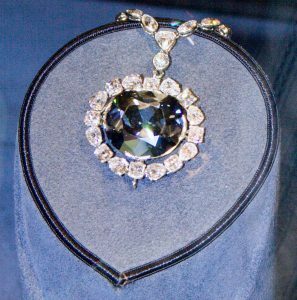 Henry Philip Hope was also a very rich man who owned the finest private collection of jewels including the Hope diamond. This Grade II* listed building sits towards the Southernmost extremity of the estate in recently restored parkland. Buried and neglected for half a century this magnificent structure is the only largely complete remaining building built by Thomas Hope. 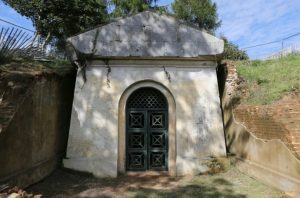 Thomas created the Mausoleum in 1818 in order to bury his young son Charles who tragically died very young. Thomas himself was buried there in 1831. 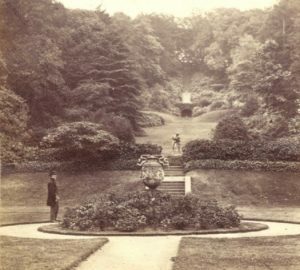 Betchworth Park, the final major addition to the estate purchased by Thomas Hopes son, Henry Hope, for £19,000 in 1834. The site includes the only remaining medieval fortified manor house in Surrey, Betchworth Castle. 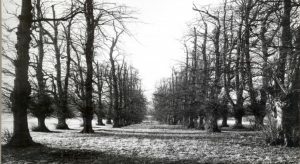 Whilst little remains of the castle the parkland has a number of magnificent Sweet Chestnut trees which date back to the emparkment of the estate in 1449. The site is of particular interest as it was remodelled by Sir John Soane from 1798 – 1800 for the banker Henry Peters. The stable block whilst converted to Houses can still be seen at the bottom of the slope. Once the estate was purchased by Henry Hope the house was let to the Barclay family of Bury Hill briefly before Hope dismantled part of the house to leave a romantic ruin. 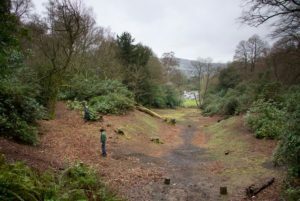 A significant feature of the site, of which remnants survive is the ornamental lime avenue. Whilst much of the avenue was felled in the 1960’s some of the trees remain and the new access road largely follows the original route. Betchworth Castle was recently purchased by architectural historian Martin Higgins, who with money from Mole Valley District Council has been able to secure funding from a number of bodies, such as English Heritage and Surrey Historic Buildings Trust, which has totalled nearly £300,000. 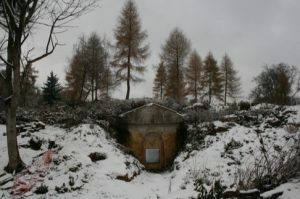 He has been able to secure the standing remains which were on the verge of collapse. 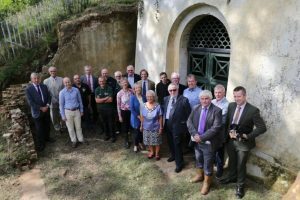 The Friends of Deepdene are now helping to improve access to the buried cellars and manage the scrub growth in the castle grounds. 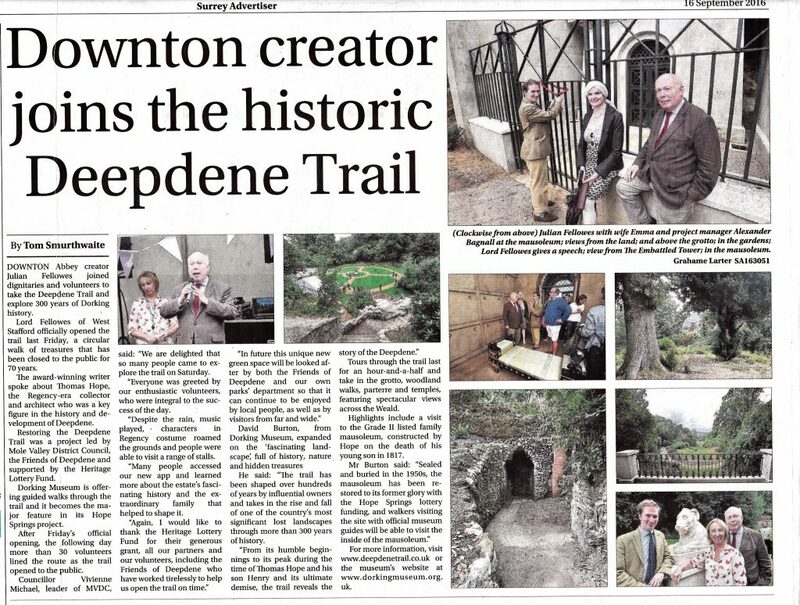 For more background on the project check out The Deepdene Trail website. 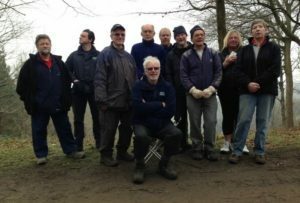 The Friends of Deepdene are a group of local volunteers who work across the six sites that make up the Deepdene. 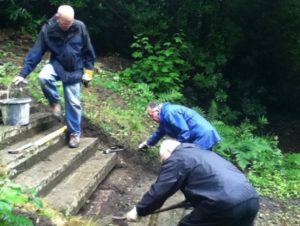 Formed in 2011 the group has made an enormous contribution to the project helping to discover lost footpaths and views hidden for the past 60 years. Their efforts in from November 2014 to July 2015 amounted to over 2330 hours of work equalling to over £19,000 worth of work. The group meets every Wednesday and Thursday and welcomes new members. For more information, have a look at their website. 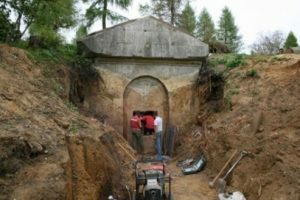 The Mausolea & Monuments Trust, Kuoni Travel, Surrey Wildlife Trust. Dorking Golf Club, Dorking and District Preservation Society, Surrey Hills Society, Surrey History Centre, Gatwick Greenspace Partnership, Surrey Gardens Trust.